CV-Tech Drive Belts for Landmaster, ASW/American Sportworks, Mini-Baja SAE, and more. We are currently working on our online selections of ASW, Manco, American Landmaster and IBC/CVTech Belts. Please call (317) 519-9020 if you don't see what you need. M-F, 7AM-2PM EST. Genuine CVTech Brand BD52-2172-S OEM Drive Belt. Genuine CVTech Brand PBX-P1312 OEM Drive Belt. Proprietary drive belt for CVTech Variable Transmission Clutches. OEM CVTech PN52-2207-C. Severe Duty Drive Belt for Massimo Bison (Select Models). Massimo W3001030. CVTech SQ52-2188-C Drive Belt for CVT. 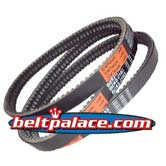 ASW 14363 CVT BELT for MANCO-ASW/AMERICAN SPORTWORKS VEHICLES. MANCO 5959 ASYM BELT. IMPORTED KEVLAR GO KART BELT 5959. Manco 5959 Kevlar go kart belt. ASW/American Sportworks 5959 belt for Manco Go-Karts. Imported. No warranty. MANCO-ASW 82223 CVT Belt. American Sportworks, Manco P-82223. MANCO 82223 CVT Belt. American Sportworks, Manco P-82223. ASW 2-20693 CVT Belt. Landmaster, Manco 2-20693. ASW 2-20694 CVT Belt. Landmaster, Manco 2-20694.